Clarin’s Shaping Facial lift has been around for over 15years! It is touted as the No 1 contouring serum in Asia, and its current version was launched in 2014. From the product description, Clarins Shaping Facial Lift sounds like a dream come true – lets see how it measures up! Developed by Clarins Research, the new Total V Contouring Power with 3 key actions: “anti-Fat”, “anti-fluid” and “anti-suger”, combines three plant extracts: guarana extract, zerumbet ginger and kaki extracts. This complex is added to caffeine, a leading lipolytic active ingredient. Its powerful contouring action involves the release of excess fats on the face, the draining of excess fluids and tighten of the skin. In addition to its effective contouring action, Shaping Facial Lift also delivers two other benefits: an immediate “lift” effect thanks to organic oat sugars and moisturization. slimmer face, refined cheeks and lifted jawline. A LARGE-SCALE TEST PROGRAMME OVER 230 ASIAN VOLUNTEERS Clinically confirmed refining effectiveness, from the front, in profile and face down. 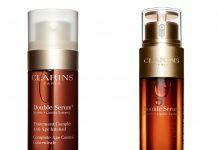 Clarins has repacked the serum into a new, attractive, plastic golden airless pump bottle which is easy to dispense. The scent was too overpowering for my liking. The serum has a sticky texture which leaves a shiny film on the areas that are applied. This product should ideally be massaged on the lower face and jawline twice a day after the toner has been applied. Guarana has long been used as a natural remedy for conditions such as fatigues, though a study did not find it to be beneficial in patients with Head and Neck tumours. It has also been thought to have beneficial anti-oxidant effects on the skin as it is rich in tannin, xanthan, theobromine, and theophylline. In addition, it contains caffeine, and hence has been thought to aid weight loss. Zerumbet ginger – better known as bitter ginger, has also been used for centuries as a herbal remedy for maladies such as indigestion. It has antioxidant and anti-bacteria activities. It has even been shown to induce cancer cell death. Kaki, more commonly known as persimmons, is rich in carotenoids and polyphenols. Most of the studies examine its effects on killing parasites rather than on skin. 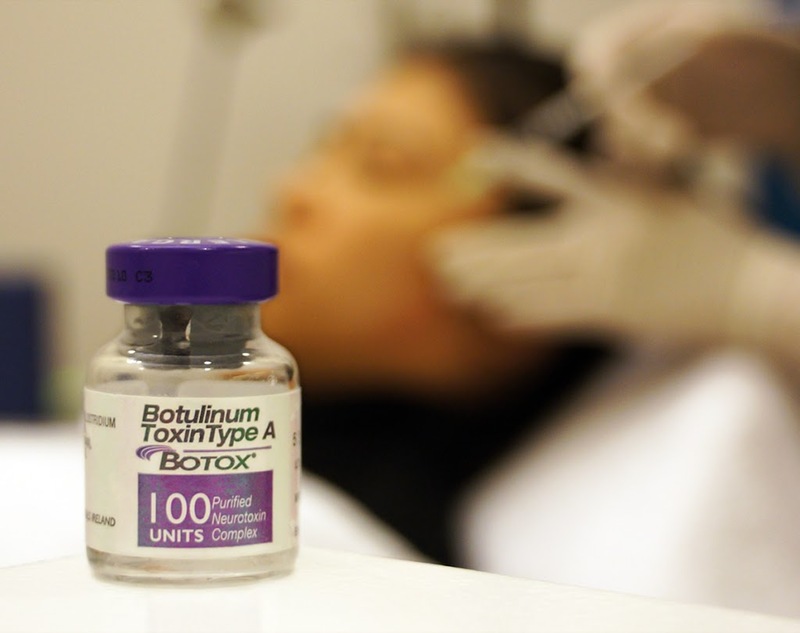 It has, however, been shown to help heal allergic skin and repair the skin barrier – it can be beneficial in patients with eczema. The plant extracts also cast a film over the skin – which explains its instant lifting effects, and the sticky texture. All in all, the ingredients in Clarins Shaping Facial lift are well thought of, and, there is enough evidence to show that they will benefit the skin. Water, Alcohol, Caprylic/Capric Triglyceride, Butylene Glycol, Glycerin, Betaine, Dicaprylyl Carbonate, Caffeine, Carbomer, Tromethamine, Avena Sativa (Oat) Kernel Extract, Ethylhexylglycerin, Parfum/Fragrance, Polyacrylamide, Acrylates/C10-30 Alkyl Acrylate Crosspolymer, Escin, Zingiber Zerumbet Extract, Sodium Acrylates Copolymer, C13-14 Isoparaffin, Hydrogenated Polyisobutene, Disodium Edta, Linalool, Phospholipids, Limonene, Laureth-7, Polyglyceryl-10 Stearate, Sodium Benzoate, Helianthus Annuus (Sunflower) Seed Oil, Citronellol, Baccharis Genistelloides Extract, Ethylene Brassylate, Diospyros Kaki Fruit Extract, Paullinia Cupana Seed Extract,Eugenol, Potassium Sorbate. With so many different extracts, it is possible to develop a reaction to the product. The product contains a significant amount of alcohol – hence, if you have sensitive skin, be careful with this product. Try the product on in a small inconspiciuous area such as behind the ear, before using it on the rest of the face. Fortunately, Clarins has put in glycerin, oat extract and other skin protecting agents to make sure it does not overly dry out your skin. If you have oily skin and clogged pores, do take care as well – it has a pretty heavy texture. People with dry to normal skin looking for a reasonably priced anti-aging/ skin protecting serum. This plant-based complex is safe with minimal potential adverse side effects. I like this product, other than the scent which is too strong for me. I always prefer products with natural fragrances rather than added ones. The heavy texture is a potential issue for Asians especially people with sensitive sin and clogged pores. While it should not cause a breakout, do be careful if you have acne prone skin. Next articleThe Truth Behind Men’s Skincare – Necessity or Marketing Gimmick?